We are renowned names involved in the manufacture and supply of the Earthing Inspection Covers. It is manufactured with the usage of the premium quality of raw materials. We are widely appreciated among the clients for being light weight earth inspection housing and has a maximum safe working load of 2000 kilograms. In order to prevent cold weather damage, it is UV stabilized against degradation by sunlight and non-brittle. 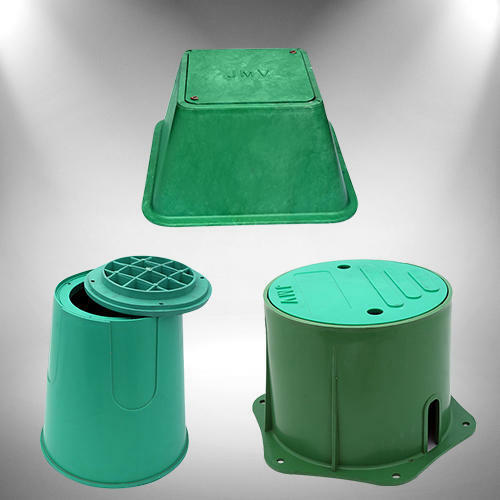 Devoted to offer superior quality Earthing Equipment and Protection Devices, JMV LPS Limited, was established in 2008 as a leading Manufacturer, Exporter and Wholesaler. We provide wide range of Earthing System, Gel Earthing Electrode and Surge Arrester. Manufactured with latest technologies, our products are highly durable, easy to install and possess longer shelf life. We utilize fine quality raw materials procured from the reliable vendors to assure flawlessness and excellently finished products. Due to the unique quality of our products, we cater with various sectors like government departments, public sector units and multinational companies along with large, medium and small industries. Our firm has always led a dominant stake in the market amongst other competitors. With the range of superior qualitative products, we have achieved huge client base all over the world. We have a well equipped and technologically sound infrastructure which includes high end machines equipped with latest technologies. Moreover, our ultramodern production unit is fully capable of delivering bulk products in the dedicated time-frame. Our product line is engineered by our highly skilled and qualified experts of this domain. For meeting the diverse requirements of honorable customers, we provide customization in material, height, thickness and size manufactured under stringent norms. Our properly organized and large warehouse enables us to uniformly stock our products.